Not just for when you're having company for dinner! Combine the flour and spices in a shallow bowl. Dredge the chicken breast in the flour mixture, thoroughly covering the meat. Heat the oil and the butter in a large skillet until hot, add the chicken and cook for about 4 minutes or until lightly browned on one side. 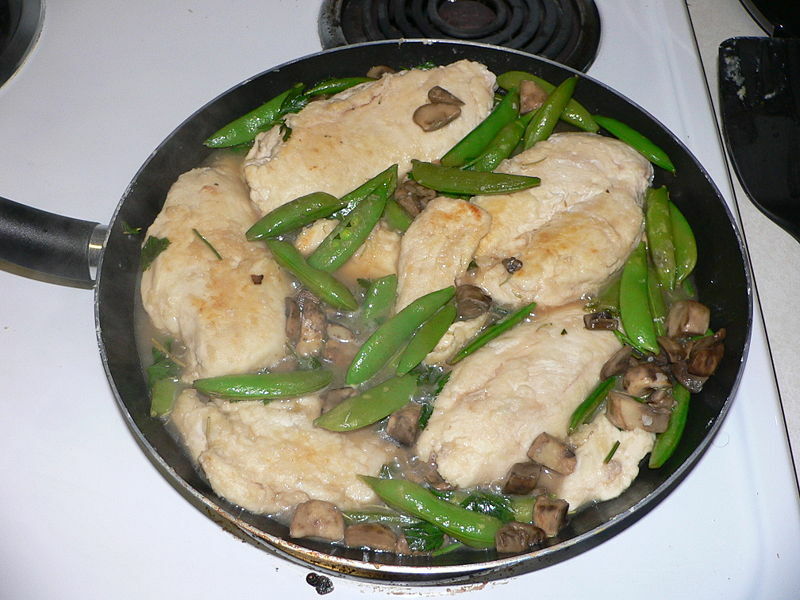 Turn chicken over and add the mushrooms/green beans and the wine. Cover and simmer for approximately 5 to 6 minutes. 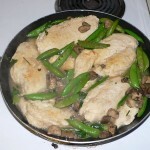 Uncover and cook until chicken is cooked thru, scraping the pan and turning the mushrooms/beans as you do so. Serve with LC-Mashed Potatoes, smashed cauliflower or turnip and a side salad.